Add a touch of wild to your bead collection! 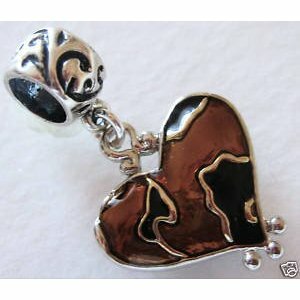 Beautiful Sterling Silver vine bail and ring with a Silver Plated Enameled, large Cheetah heart, dangle bead. Slides on. Although not authentic Pandora or Brighton, this will fit all add a bead bracelets.